The BBC has announced that it will be airing Synth Britannia, a documentary "exploring the impact of electronic music on popular culture in Britain," as part of its autumn/winter schedule. 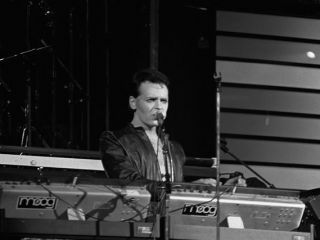 Set to be shown on digital channel BBC Four (they want to keep the riff-raff out, obviously) the programme will trace synthpop's invention back to Gary Numan's 1979 appearance on Top Of The Pops before going on to explain how this new genre formed the soundtrack to the '80s. Contributors will include some of the scene's heaviest hitters: Philip Oakey, Vince Clarke, Martin Gore, Bernard Sumner, Gary Numan and Neil Tennant. Synth Britannia's broadcast date is still to be confirmed (we'll keep you posted on that) but check out the trailer below for a taste of what it will contain.